It was a tale of the Lipscomb bench in Nashville. 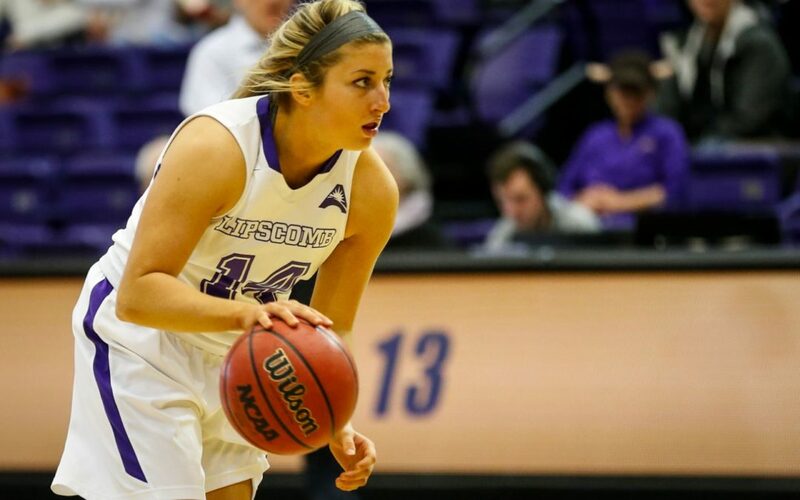 Lexi Manos scored a career-high 20 points en route to a total of 57 points put up by the Lipscomb Lady Bisons’ bench. The Lady Bisons had control for most of the game as they won 97-78. The USC Upstate Spartans struggled to convert on shots, going 27-of-77 on field goals (35.1 percent). This led to 50 rebounds for the Lady Bisons as opposed to 40 for the Spartans. Upstate could not contain Lipscomb’s offense, which generated a season-high point total. After beginning with a promising 7-0 lead, including a 3-pointer to start things out, the Spartans allowed multiple scoring runs by Lipscomb to quickly erase that momentum. After the first half, Upstate had only converted 23.7 percent on field goals, including 2-of-15 from the 3-point line. The score at that point was 45-26 Lipscomb. The Spartans engendered a 5-point run to start the second half. But it wasn’t enough, as the Lady Bisons quickly slotted themselves back into the competition. Both teams each scored 52 points apiece in the second half. The main story for the Spartans was their consistently missed shots. They were off-target from the start and couldn’t really pick up in that category until the Lipscomb bench saw a lot more playing time towards the end of the game. The main story of the night for Lipscomb was Lexi Manos, who put up the most points of her career. Coming off the bench, Manos converted on her first five field goal attempts to result in 9-of-14 on the night for her team-high 20 points. “It feels pretty good,” Manos said of her performance. She was also quick to credit her teammates in the win. Sophomore guard Carleigh Short also scored a career-high 9 points. Senior guard Loren Cagle added 16 points. Senior forward Riley Northway saw limited participation (illness, according to Brown), but she had extended playing time in the fourth period, finishing 2-of-5 (4 points). “Little bit more every day,” Brown said regarding Northway’s future participation. For Upstate, A’Lexxus Davis was the most prominent player. She went 5-of-7 for 15 points, which led the team. Starting sophomore guard Rylie Parkhurst had a difficult outing, shooting 1 of 12 (1-of-10 on 3-pointers). The win boosts the Lady Bisons to 8-14 (4-3 ASUN). Meanwhile USC Upstate drops to 7-15 (2-5 ASUN). The Lady Bisons will stay home for their next tilt, facing NJIT (3-19, 1-6 ASUN) this upcoming Saturday, February 3, at 12 p.m. local time. Great article, Spencer, looking forward to reading more of them!! !